A verbatim music-theatre piece using testimony from inspirational stories of women who have transcended domestic violence. 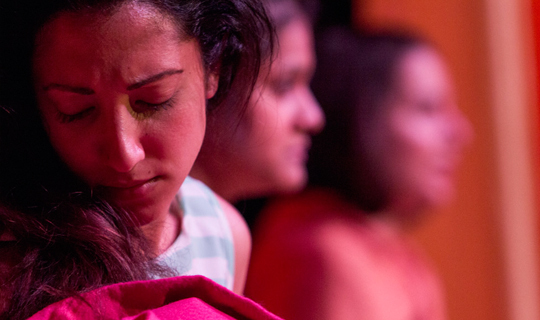 Inspired by testimonies of women who have transcended domestic violence, Women of Hope is a pioneering piece of verbatim music theatre that explores these women’s incredible journeys. Moved by their generosity and openness, director Renu Arora brings their powerful stories to the stage. We bring to light their extraordinary spirit and find their unique, innately hopeful and collective voice. Women of Hope is a touching, funny and very human journey into the heart and soul of these remarkable women. The project was supported by Amnesty International and Arts Council England during its development and was performed at Rich Mix and Amnesty’s Human Rights Centre last year.